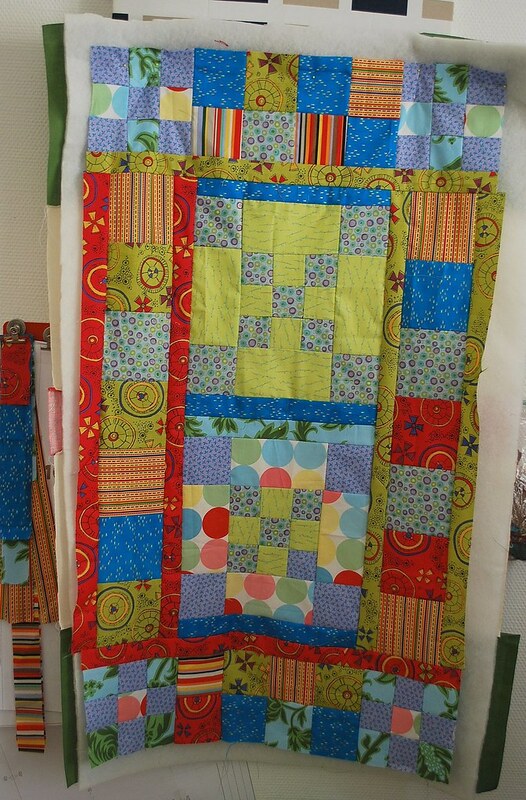 August 22, 2011 Adri H.
crazy baby quilt, nearly complete! The quilt in the photo began as a gift for my niece... in 2009. I began this, my first quilt ever, with a really complicated block (a 9 square center, sashes, squares, etc.) and lost the size notes somewhere in the in-between. Now that I have a sewing machine in working order, and have brushed up my sewing skills with a few books and Craftsy tutorials, I took an afternoon and finished the quilt... I ended up kind of redesigning it for my niece's upcoming little brother. Tee hee. So, it's sort of a strange first quilt, but I'm proud of it. My next step is to quilt the three layers together using a darning needle foot and my home sewing machine. I'm waiting for it in the mail. 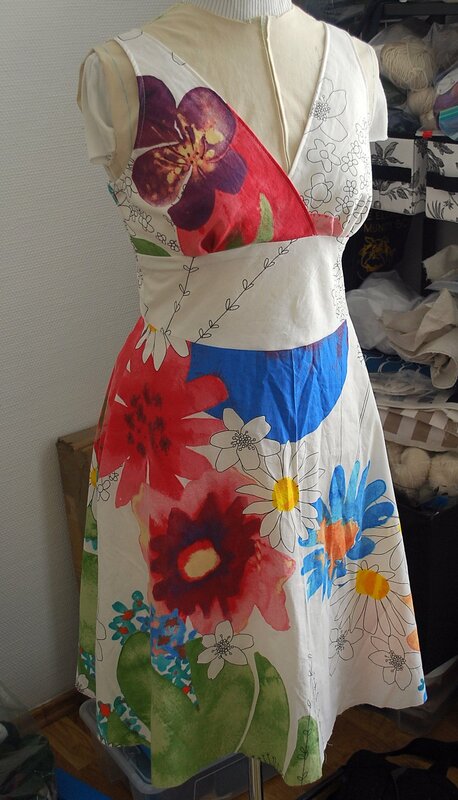 The second project photographed is a dress in progress. It is Simplicity pattern New Look 6557 View B. The fabric was an IKEA summer special for 5EUR/meter. A major bargain here in Deutschland. I'm nearly finished with it. All I'm missing is the zipper installation, some top stitching, hem, and I think I may add some flower appliques... we'll see. I think I need to break up that big patch of blue at the center! Oh postal service, when will my zipper and sewing foot arrive? !